I didn't receive any postcards yesterday! That's very unusual, I usually get at least one postcard or a letter. 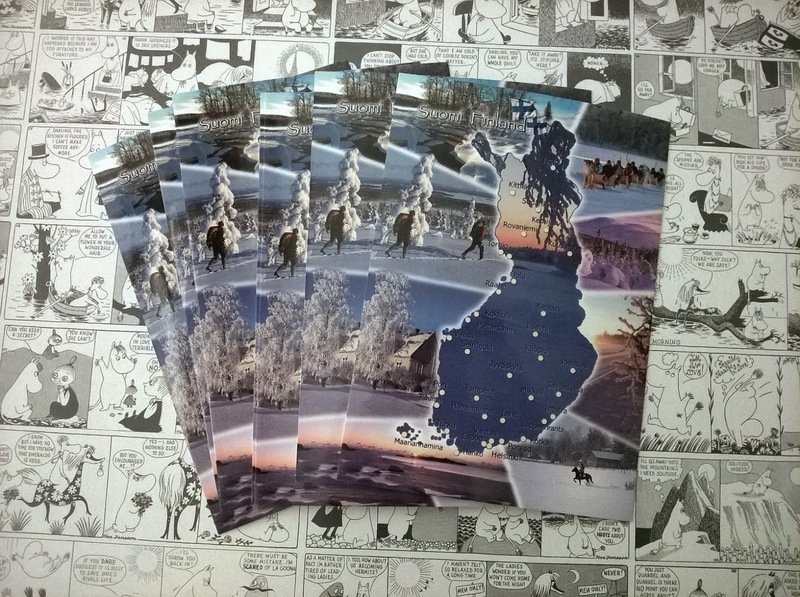 My postcard to Helsinki, Finland was registered in a day ( FI-2370751 ) so I got a new address on postcrossing websites. Next postcard goes to Central African Republic, wow! I hadn't heard about this country before. That's why I love postcrossing, you'll learn everything new all the time. I hope my card travels safely there. When my husband came from work at 2 pm, we went to the city to do some postcard shopping. 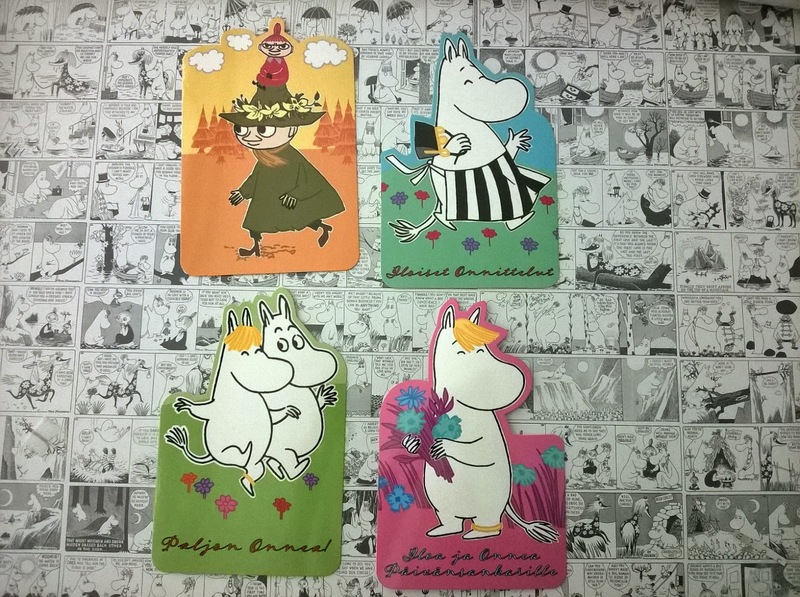 :) I bought moomin cards that I haven't seen earlier and a few mapcards. I had already two of those mapcards, but they were so popular on IG so I went to buy 5 more. In my opinion they are very pretty!